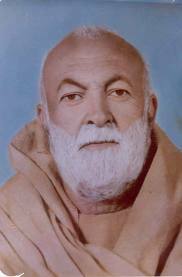 In 1907 in south Balochistan a bloom star was born,showing signs for liberty and sovereignty, Khan Abdul Samad Khan Achakzai, born in the pious priest family of Maulana Noor Mohammad Khan and Begum Noor Mohammad Khan at Inayatullah Karez near Gulistan, close to Quetta. Maulana Noor Mohammad Achakzai imparted to his son Samad best of religious and academic education to meet the challenges of the closing 19th century and beginning of the 20th century. Samad Achakzai proved worthy of trust reposed in him, by his parents. Samad acquired Knowledge of religious education at home and then modern education available at Govt School Gulistan. Samad excelled in both which broadened his sphere to handle hazardous personal and political life. Career: KHAN SAMAD KHAN ACHAKZAI was a Pashtun nationalist political leader from Quetta, Pakistan. Samad Khan was the founder and head of Pakhtunkhwa Milli Awami Party. 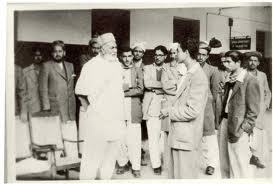 Samad Khan, known as “Khan-I-Azam” was an active Pashtun nationalist. He was repeatedly imprisoned both during the British Raj and the Pakistani government for ‘secessionist activities’. Khan I Azam & Baluch Gandhi – During the Indian Independence Movement, he was a member of the Congress party in the Baluchistan area of British India, and campaigned for Pashtun autonomy in a united secular India, along with Khan Abdul Ghaffar Khan in the North-West Frontier Province. A follower of Mahatma Gandhi, he was known by many as the “Baluch Gandhi”. He was a member of the NAP (National Awami Party), before forming a breakaway Pakhtunkhwa Milli Awami Party. He was assassinated by Nawab Akber Khan Bugti. Bugti Tribes men who were located near by in the house of their Nawab, threw a hand grenade in his house. He was member of the Baluchistan Provincial Assembly at the time of his assassination in December 1973. After Samad Khan’s death, his son Mahmood Khan Achakzai became the chairman of the party. 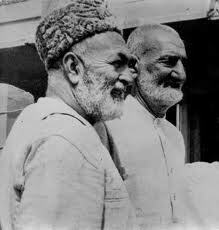 Pashtoon pioneers and freedom fighters like Bayazeed Roshan, Khushal Khan Khattak, Sher Sha Suri, Mirwais Neka, Ghazi Amanullah Khan, Khan Abdul Ghafar Khan Bacha Khan and Baba e Pashtoon Khan e Shaheed Khan Abdul Samad Khan Achakzai fought for the freedom of Afghan Pashtoon nation and lived their lives for one cause that was to keep the nation independent and live like an honorable human being on their home land. Though after Independence our brothers & sisters were divided & families torn apart by the political greed but one should not forget the contribution which the ancestors of ours like these gave & sacrifices which they came across. Its our duty to carry forward the legacy of these Great Heroes & the best way is to keep it alive in our minds & heart so that we can pass on it to our generations to come.